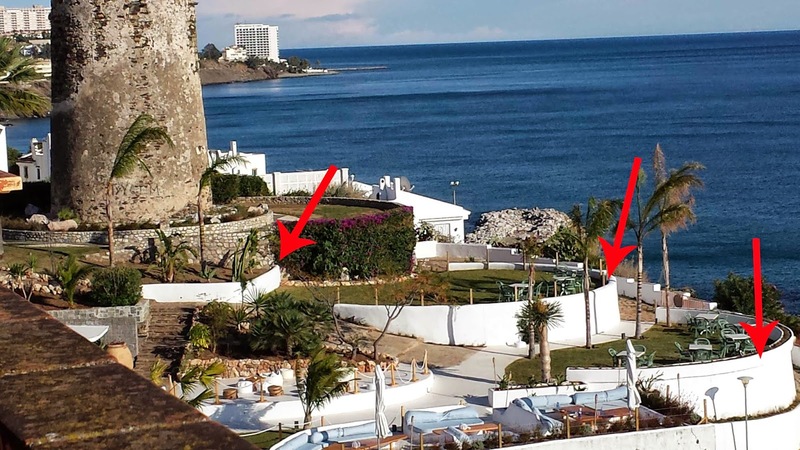 The public prosecutors have opened an investigation into works in the area surrounding the Torre Vigía in Benalmádena. The zone is a public space to which the owner of a bar has added flower beds, a wall and benches as well as painting various parts of it white. 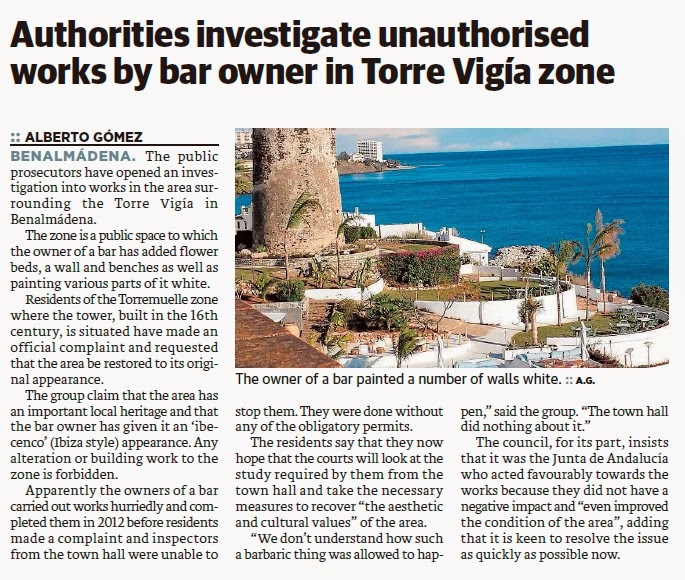 Residents of the Torremuelle zone where the tower, built in the 16th century, is situated have made an official complaint and requested that the area be restored to its original appearance. The group claim that the area has an important local heritage and that the bar owner has given it an ‘ibecenco’ (Ibiza style) appearance. Any alteration or building work to the zone is forbidden. Apparently the owners of a bar carried out works hurriedly and completed them in 2012 before residents made a complaint and inspectors from the town hall were unable to stop them. They were done without any of the obligatory permits. The residents say that they now hope that the courts will look at the study required by them from the town hall and take the necessary measures to recover “the aesthetic and cultural values” of the area. 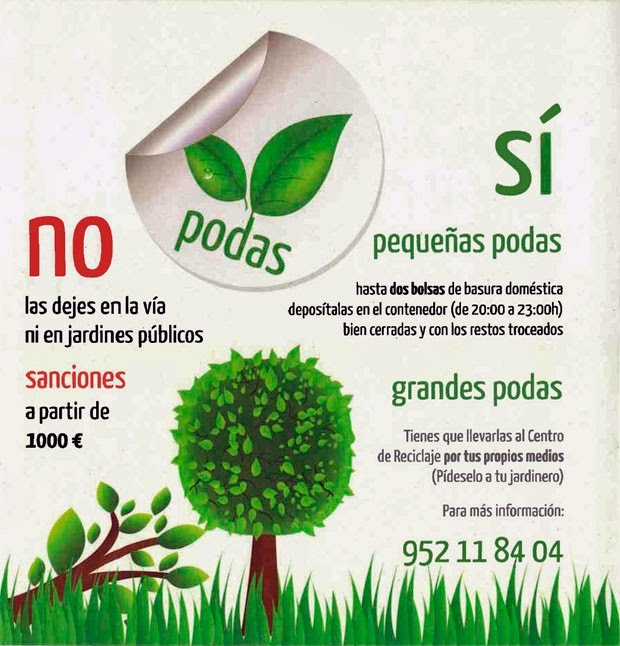 The council, for its part, insists that it was the Junta de Andalucía who acted favourably towards the works because they did not have a negative impact and “even improved the condition of the area”, adding that it is keen to resolve the issue as quickly as possible now. Text: Alberto Gómez. Sur in English.